Best Share Market Classes-Powerful Seminar on Day Trading by Master of Intraday Mr. Tushar Bhumkar. If you are making constant losses in share market, not able to select stocks for day trading, not able to select proper charts, then please watch this video till the end. This video encapsulates the very basics of Share market Trading, Intraday trading and provides you the tools and techniques for trading on your own. Technical Trade Consultancy share market training is provided by India’s No. 1 Intraday trainer Mr. Tushar Bhumkar. Our training and seminars are specially designed for share & Commodity market traders. Learn how to trade in the stock market. Technical Trade Consultancy is the best place to learn the Nifty & Commodity Market. Commodity Trading has the potential to earn a huge profit if you know when to enter & when to exit from the market. Trading commodities can seem challenging to a novice trader but our course structure breaks it down for you. No prior knowledge is required. Our training includes Market Psychology, Technical Analysis, Intraday Trading Strategies, NIFTY & Commodity Market, Live Market Trading, loss avoiding tools. This course is designed to become a full-time professional day trader. Learn how to become a professional trader just in 5 days. Earn more and be self-sustainable! Join today to learn more. Technical Trade Consultancy has trained more than 8,500 people and has conducted more than 500 seminars and training session all across the country. 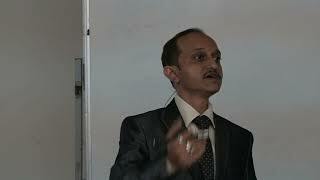 Get trained by India’s No.1 Intraday trainer Mr. Tushar Bhumkar. 100% Practical training & trade assist support available. Contact today and get your seat reserved! Get enrolled with us & start earning up to 2000 to 4000 on a daily basis. Make your money work for you.